Signing up for the SIMPLE Box Program is a subscription to our vegetables. Membership in the program provides you with a box of 4-5 of Tiny Farm’s best products every week without the worry that we will sell out before you arrive at market. We believe the advantage is huge! That’s why we created the program. 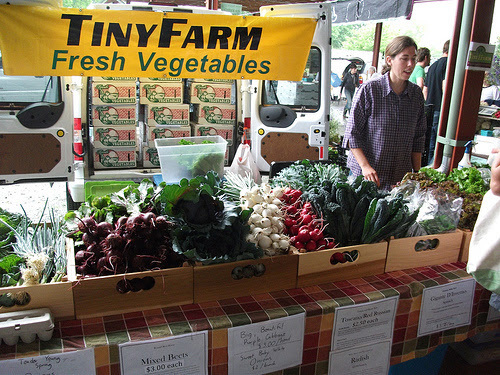 Tiny Farm produce comes from a 5th generation farmer with years of experience and a crew dedicated to growing the best. At market we’ve been known to sell out of our top vegetables within a half hour of the market opening! With the SIMPLE Box Program, we set aside your vegetables prior to market that you can pick-up anytime during the market or through our delivery program. That means you can sleep in when you need it! 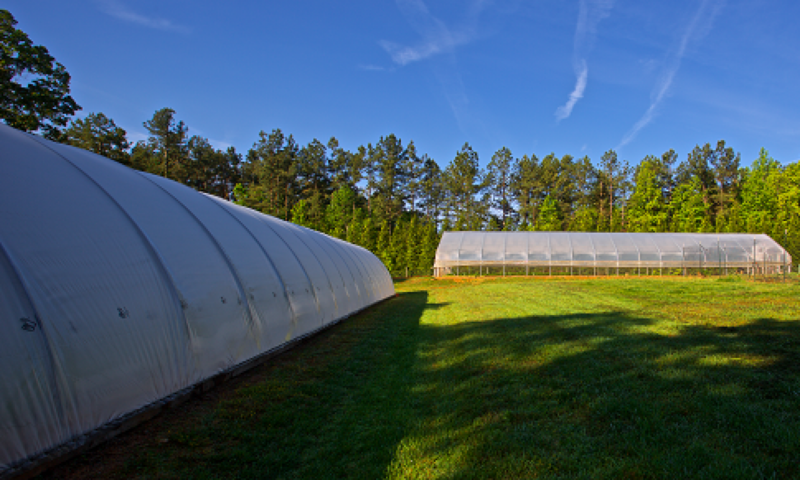 You also become a key sustainer of one of the most innovative farms in the area – one that provides fresh greens and other vegetables 52 weeks of the year. Your membership allows us the opportunity to employ workers year-round and trial new vegetables on our farm. Unlike a typical CSA (Community Supported Agriculture) program, which requires a large upfront payment ($400+), Tiny Farm offers a very SIMPLE, economical, and flexible alternative with only a small deposit and a low weekly charge. We also allow you to skip a week or two when you are unable to come to market because of vacation or business travel. To sign up, go to our online store. All we need is your name, email address, and phone number. The number of memberships are limited. We are named Tiny Farm for a reason! Customers sign-up to receive a minimum of 10 boxes of vegetables during each 12 week period at a cost of $15/box/week. The $15 is paid only when each box is picked-up at the market. It can also be paid in advance via our online store, which is a great alternative if a friend or family member is picking up the box for you. To join, you’ll pay a $30 deposit that is fully refundable or can be applied to the next period after the successful completion of a 12-week session. This deposit is retained by Tiny Farm only if you fail to buy 10 or more boxes in the 12 week period. To make scheduling easy, we keep a written log at the market where we’ll record if you receive your scheduled box. We then ask whether you wish to pick-up a box next week. It’s that easy. If things change during the week, just give us at least 24 hours advance notice that you can’t pickup your scheduled box and you will avoid the $15 missed box fee. You’ll also be passing on the produce we set aside for you to other customers at the market. However, if you fail to notify us, we will have to charge you for the $15 in wasted produce. Pick-ups can be made at the Durham or Carrboro Farmers Markets during the normal operating hours. You will have to specify the market you prefer to attend when signing up.Through the neighborhood/business program, we can drop-off 5 or more boxes at one location during the week. We won’t charge a delivery fee when the location is within the Durham or Chapel Hill area, or at any of the restaurants we service. Support the Farm, get great vegetables year-round! Thank you for all of your big news. Congratulations. I have not forgotten you. We are in Taiwan for three months. I also have a new email address (see below). Hope all is well. See you in June. Will it still be possible to pick up from the farm? does the simple box program includes winter greens or just salad greens? We have planted spinach, swiss chard, and two types of kale for the fall and winter boxes. Salad greens and cooking greens comprise most of the fall and winter box contents. Beet, carrots and turnips the balance.